This episode focuses on platforms — a topic I haven’t discussed yet on this podcast. An effective platform strategy is important for growing organizations as well as those that are starting. There are different perspectives on platforms and this interview primarily explores digital platforms. 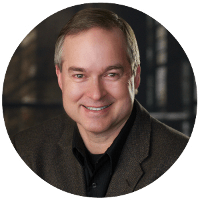 My guest is Larry Keeley, a strategist who has worked for over three decades to develop effective innovation methods, based in science and analytics. 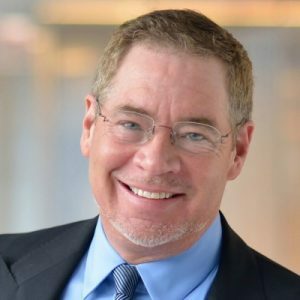 He is President and co-founder of Doblin Inc, an innovation strategy firm known for pioneering comprehensive innovation systems that materially improve innovation success rates and innovation return on investment. Doblin is now a unit of Deloitte Digital. 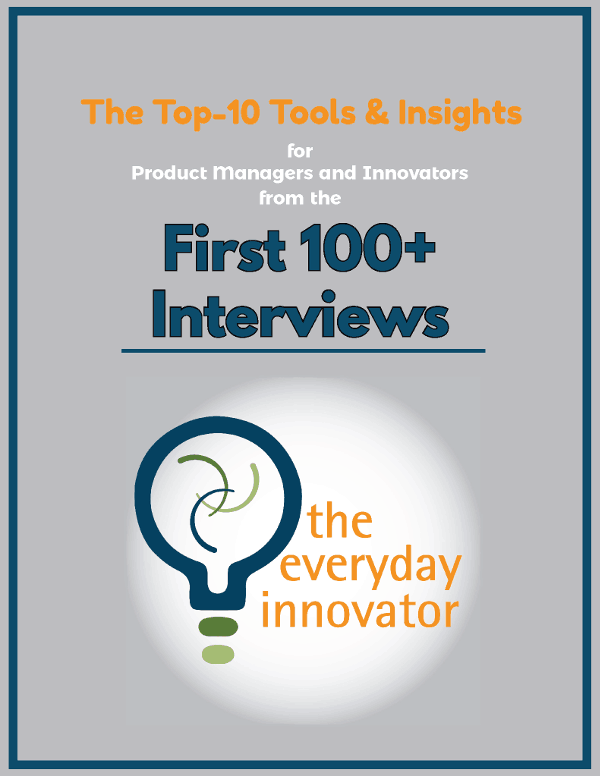 Larry is also the author of the book Ten Types of Innovation, the Discipline of Building Breakthroughs, which you’ll hear us talk about towards the end of the interview. [2:55] What are platforms and why are they important? We live in a connected world. The connected world has transformed what we build, how we build it, and how we make it important. I have two definitions for platforms. The complicated version is an integrated offering that collectively creates a holistic customer experience that is open to others to extend. If you are extremely clever, your platform will create a new ecosystem to do business in. The simple definition is that a platform makes it easy to do hard things. For example, Goolge makes it easy to find information. Successful platforms are not tightly controlled by its creator but leverage other contributors who make it great. Openness is needed because in our modern world no one is smart enough to anticipate all the things all of us will want to do. The platform needs to make it easy for others to adapt and use. [9:55] What are examples of platforms? They are more abundant than you could imagine. Well-known platforms are Uber, Airbnb, iTunes, Amazon, Amazon Web Serveries, Alibaba, New York Times, This American Life, IBM’s Watson, and MRI machines to name only a few. Platforms become known as the way with the lowest friction to accomplish an objective customers have. [14:43] What role do platforms play in innovation? 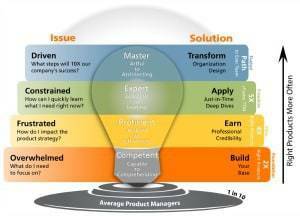 Today they provide modular capabilities to quickly and inexpensively create innovations. For example, if we start a business, we would need a way to collect payment (e.g., PayPal), maybe create a digital rights management system (e.g., iTunes), and populate a database system with customer information (e.g., AWS). Using existing platforms for these capabilities is fast, cheap, smart, and robust. If you have no-to-limited resources, you have to find the blocks of capabilities that allow you as an innovator to do something new. Modern innovation is less about doing something entirely new and more about the eloquent combination of existing blocks that result in value to customers. [18:59] What is the role of Cloud in platforms? The Cloud provides the ability to have greater efficiencies in several areas, such as economics, security, energy, and speed to implementation. We have moved from what would have taken an innovation team 7 to 8 months to implement to now only taking 1 to 2 weeks by wisely using platform capabilities. [22:10] How do platforms impact industries? With platforms, companies and innovators enjoy greater efficiency, but it extends to industries as well. Entire industries benefit from dramatically lower total cost, making the world more efficient. [25:35] How is a desirable platform created? If your offering (product) employs software, is connected to other elements, and demands frequent updates, then it already is a platform. A good offering consists of eloquent technology combined to do something surprising and useful plus a great user experience model plus a fair business model. Music streaming is a good example. Instead of having to purchase the rights to each song I want to listen to, I use an algorithm to indicate my tastes. The streaming service, incorporating insights from millions of people I never have to meet, provides songs that I am likely to enjoy. I can listen to these songs at my convenience wherever I am – at home, in my car, and on the go. Further, the service is fairly priced. The platform combines technology eloquently in a way that creates a pleasing experience at fair pricing. The code for a platform breakthrough includes those three properties: (1) eloquent offering built of technologies, (2) an eloquent experience model, and (3) an eloquent business model. [32:25] What would you tell a new product manager about innovation that you wish you would have known when you were younger? This advice comes from two common fallacies regarding innovation. First, innovation emerges from discipline, not creativity. Second, don’t focus on creating products (building a better mousetrap) but in a connected world look for ways to build platforms instead of products.